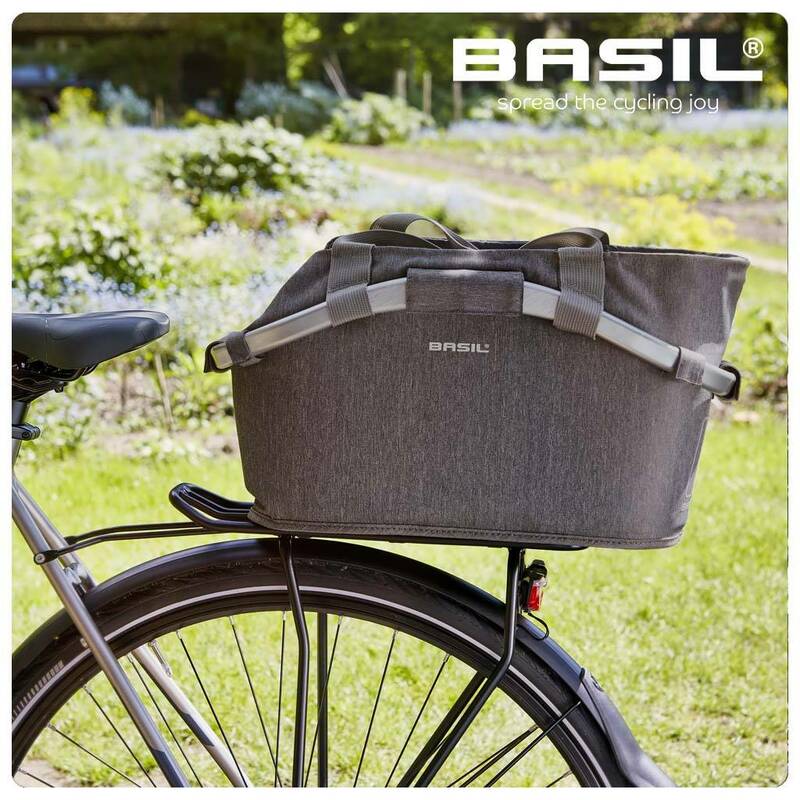 The Basil 2Day Carry All Rear Basket is a stylish bicycle basket in a grey colour. 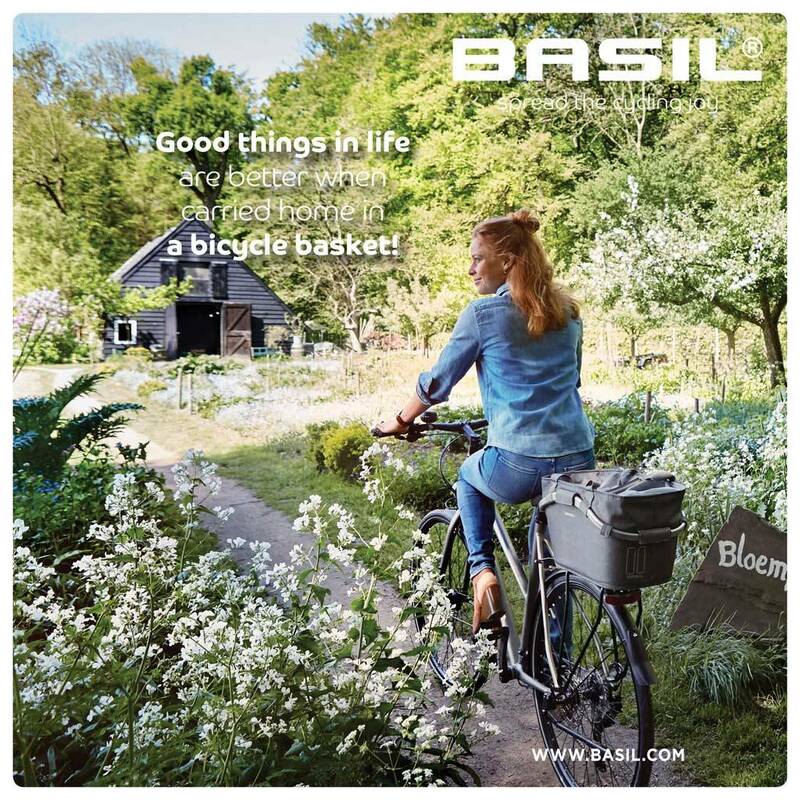 This basket is designed for easy attachment to the rear of your bike and is incredibly simple to remove. 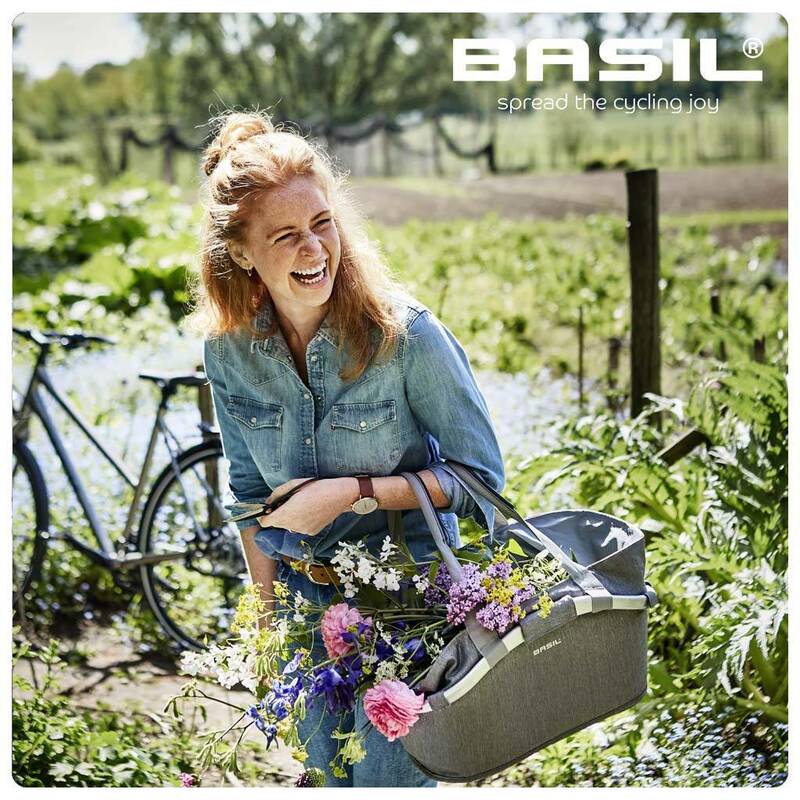 The Basil 2Day Carry All Rear Basket is a designer bike basket suitable for daily use. It comes with an MIK Adapterplate and is suitable for MIK system carrier plates. Don`t have an MIK carrier on your e-bike? Then mount the MIK Carrierplate on your carrier. The shopping basket is easily removable and has an aluminium bracket with curve. Using this bracket, you can position the chamfer on the saddle side. The chamfered top ensures that the bike basket can be mounted as close as possible to your saddle but not against it, so you can ride comfortably! The lightweight bicycle basket is a real all-purpose carrier, made of strong polyester and available in five prints. 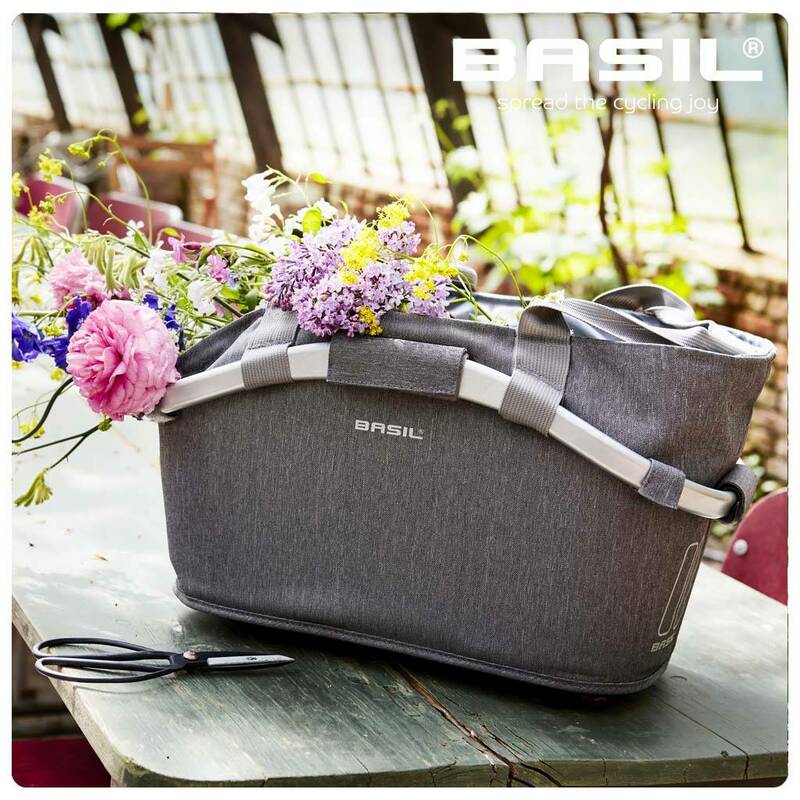 Thanks to the drawstring, you can ensure the contents of your basket are kept safely in place during transit. Generous capacity of 22 litres. Includes inner pocket and drawstring. Suitable for MIK system carriers and carrier plates (sold separately).